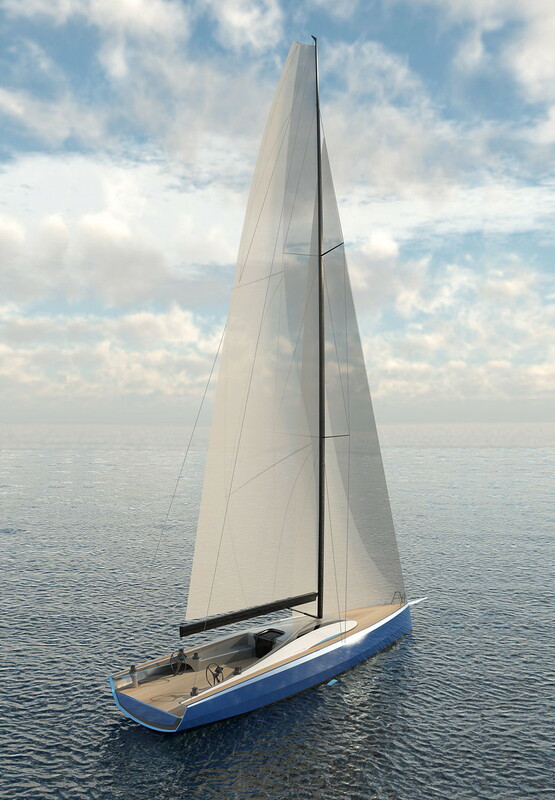 The Infiniti 60 has been developed as a yacht that will provide smart and stylish accommodation for the owner and guests, but also offer the flexibility to switch between shorthanded day sailing and fully crewed race mode with ease. The Infiniti 60 can deliver levels of performance never previously seen in a boat of this kind. Large enough to compete in the prestigious races of the International Maxi Association, the Infiniti 60 will redefine this genre of performance sailing, delivering unequalled speed, balance and versatility. The DNA of this yacht remains pure performance, due to the integration of the patented Dynamic Stability Systems retractable lateral foil. The interior of the Infiniti 60 is perhaps more linear than the 85 and 105 models, with the influx of natural light to the saloon and cabins maximised. The 60 has two accommodation options: one which features 2 double cabins (each with an additional pullman berth, enabling her to sleep 6 in total), and another arrangement more suited to race configuration with extra bunks, allowing for 6 crew to then be accommodated aft and an owner’s double cabin situated forward. The forward cabin can also be replaced to accommodate a further 4 crew.